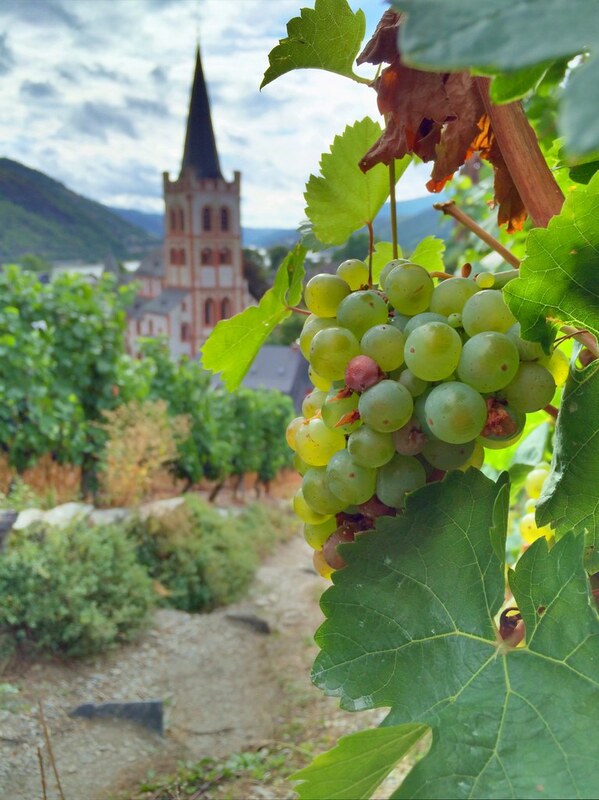 As you wander around towns big and small in Germany’s Rhine (Rhein) River valley, you’ll see vineyards everywhere — some commercially productive, some uncultivated. There are even grapes growing randomly along public walking paths. Snapped this image when I visited the town of Bacharach in September 2015.